Smith & Wesson OTF Assisted Opening Flat Dark Earth Pocket Knife - AUS-8 Stainless Steel Blade, Aluminum Handle, Glass Breaker Pommel, Pocket Clip | BUDK.com - Knives & Swords At The Lowest Prices! 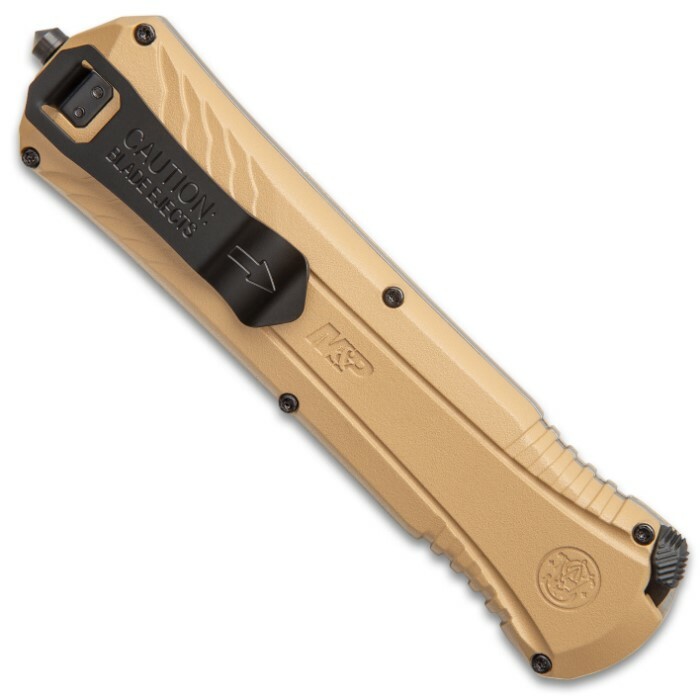 The Smith & Wesson OTF Assisted Opening Flat Dark Earth Pocket Knife is truly an awesome and impressive knife! Built with tactical intent in mind, it has a slender profile and a tactical black finish. 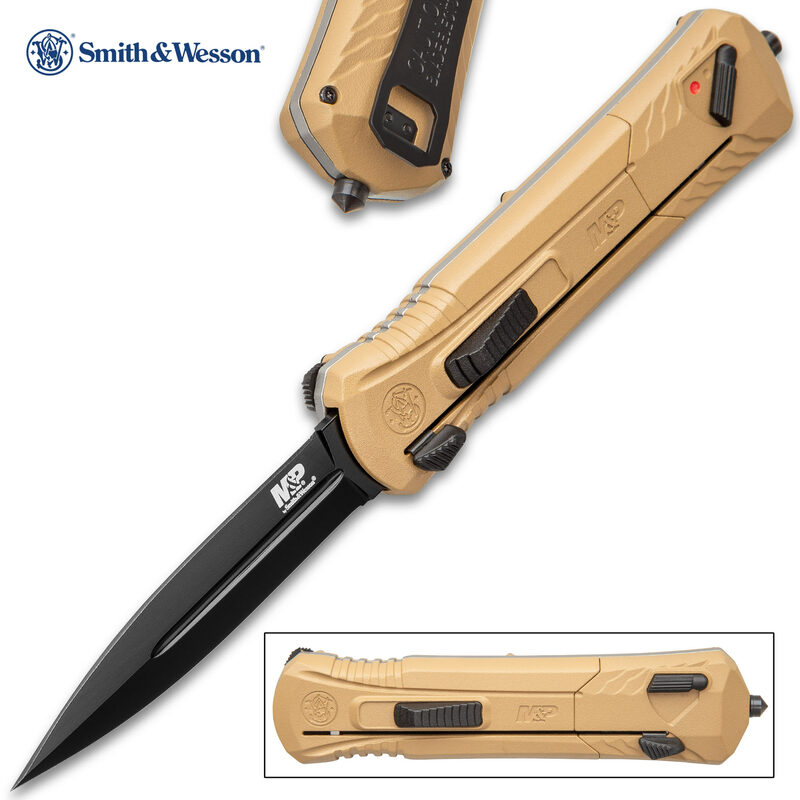 The AUS-8 stainless steel blade is 3 1/2" long and is forged into a double edge dagger. 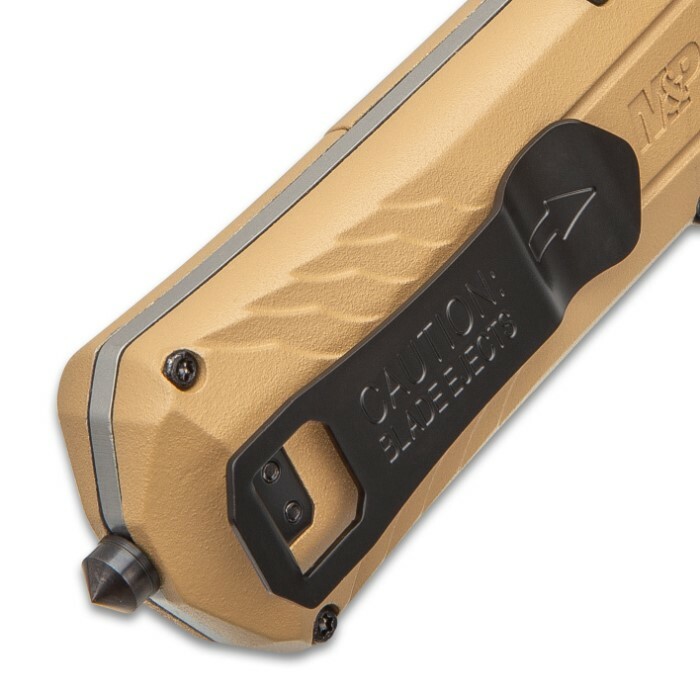 On the side of the handle, there is a safety and a tab used to retract the blade, in addition to the thumb slide. 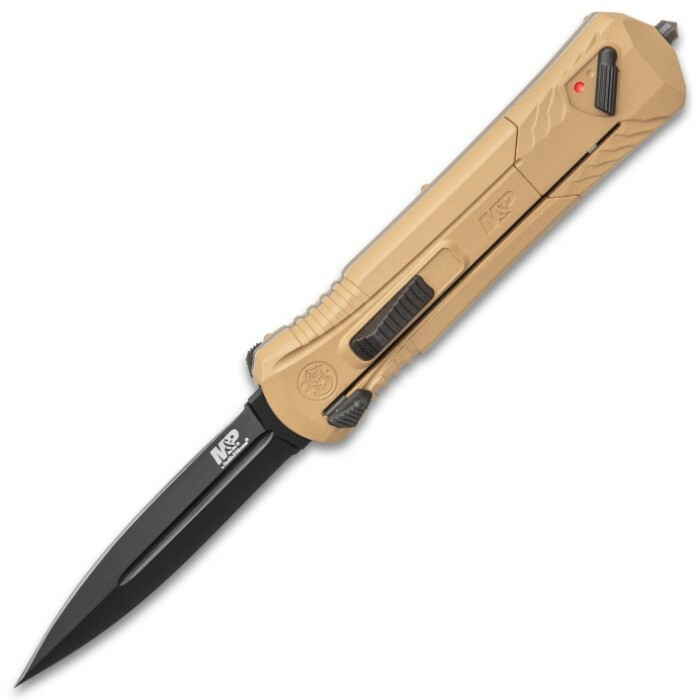 The flat dark earth aluminum handles are contoured for a better grip and have an integrated glass breaker pommel, a pocket clip and a safety lock.